After a nationwide search for the best cover groups in the Philippines in the KPOP Cover Dance Festival organized by Link Up Productions with the support of Audition Next Level and Playpark Inc., DAISY SIETE emerged as the one true champion. On top of proving their supremacy in the country, the group will go on to represent the Philippines in the upcoming international cover group competition in South Korea. 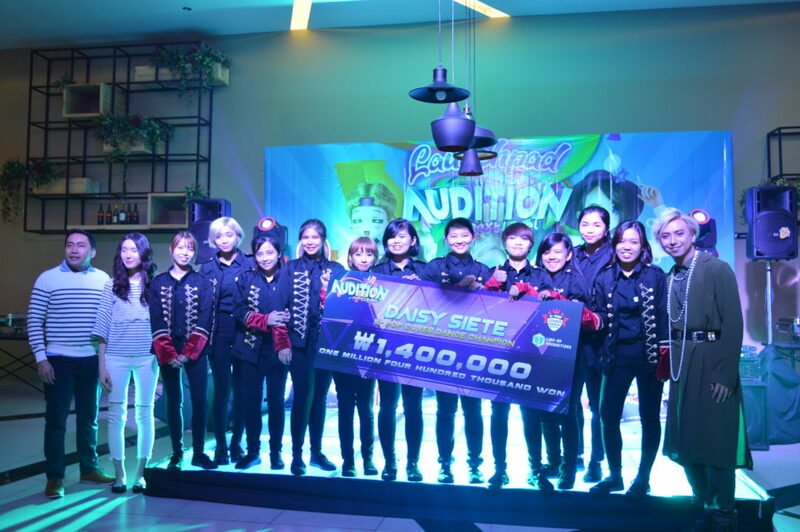 In their journey to worlds, the girls of Daisy Siete will be fully equipped with Audition Next Level merchandise and a whopping ₩ 1,400,000.00 sponsored by Playpark Inc. Best of luck to you, Daisy Siete, we are rooting for you! Among the Top 20 performers, Daisy Siete won in the KPOP Cover Dance Festival held at Tanghalang Pasigueno last April 22, 2018. With the group is covering the all-male KPOP group – SEVENTEEN, Link Up Productions head, Vincent Igno, shared that the group is proudly the first reverse cover group to ever win the competition and represent the Philippines. In the international competition in South Korea, Daisy Siete will not only be bringing their A-game, they will also get to live as KPOP idols do in the 7-day event. Celebrity choreographers and trainers will be working with Daisy Siete to level up their performance. Tours, photo shoots, and interviews are planned out for Daisy Siete alongside their competitors from other countries truly letting them live the Korean idol dream. Throughout all of these, Audition Next Level, Playpark Inc. and Link Up productions will be by their side to backing up Team Philippines. Daisy Siete started out as a group of friends showing support to the then-rookie group. 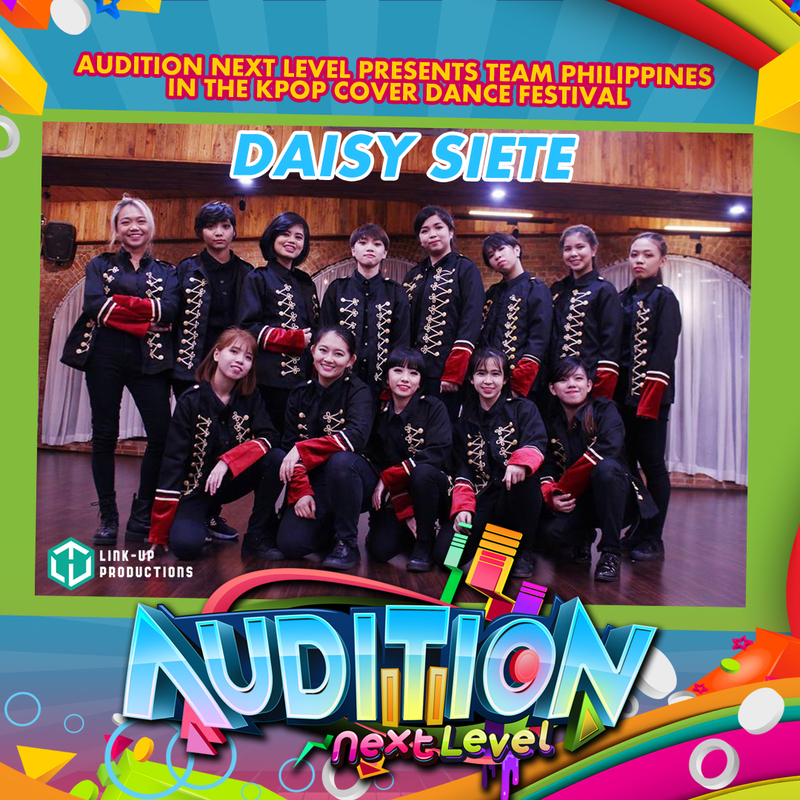 Despite their name, Daisy Siete is composed of thirteen (13) members completed and debuted last June 2015. In 2016, the group had already performed in several events. Due to scheduling conflicts within their ranks, the group disbanded later that same year. From the original members, four came together to push through with a recruitment and a comeback in 2017. Though their current lineup is mostly made up of new members, they persevered and campaigned for their group to represent femininity and women’s empowerment as a reverse cover group.